You may, or may not have used or heard of Quick Response (QR) codes...however, some educators and trainers are exploring how and why they may be useful. For a quick explanation of what they are please watch this video. 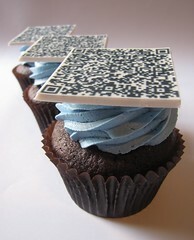 So, some examples of how QR codes are being used in education. Tertiary - Kamuka Pati at Unitec is trialling the use of an iPod and QR) Codes with his construction students. Every group of students is issued with a touch iPod before a class begins. 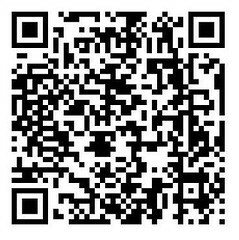 Kamuka has prepared a set of QR codes for his class and each topic (see this video for a demonstration of a QR code being used on site). These QR codes are pinned on the board in the construction zone and this provides students contextualised on-demand information (such as access to 3D models, videos and pictures) that helps the student gain a better understanding of the ‘what and how’ just when it is needed. (Please click here for a more in-depth description, and feedback from the students). Tertiary - Sharon Tonner describes a 'treasure hunt' for new students (as opposed to the more traditional guided tour) at the Unversity of Dundee. Sharon explains that her role is to "provide students with their induction to the the IT systems that they will use at University to communicate, access materials and in some cases collaborate with others". The students scan a QR code, read the message and make their way to key locations. The result? "The activity started with a shy, quiet class who were still getting to know their peers and their lecturer. When students returned from the QR Fresher Hunt the atmosphere had transformed into a lively class who undertook all activities and were eager to share the information, leaflets and knowledge about areas of University, with their peers". K12 - Vicki Davis, is using QR codes in many ways with her students. She explains: "There are so many great things, but to me, using these in museums and in the "real world" can create some deep learning experiences -- see, now these QR codes are just attached to text, but what happens when they have video, audio, and more attached to them. Your child who is fascinated by the caveman exhibiltion at the Smithsonian will scan the QR code and have delivered to his cell phone video, audio, perhaps even books (in a Kindle like way) relating to his topic"(source). Primary -Michael Fawcett describes his experience (and gives and example): "I took QR code ideas back to class. I've played with them before, but last week i had a real use for them. We have clearfile portfolios for students to share their learning with parents. Jason wanted to share a blog post that was and audio recording and we couldn't figure out how to do it. Enter Kaywa QR code generator. I asked jason if anyone has an iPhone or iPod Touch in his family. Big thumbs up from Jason. I grabbed the screen with his post on (and comments) using Aviary's Chrome extension; generated a code and combined them into an image. I added the url of the post too just in case. We tried it out on my Android phone and... voila - "Jason Says" loud and clear - http://glenviewgo.com/2011/03/25/jason-says/.) (source). Convinced yet? If you are and would like to know more, this video gives a really clear overview of what QR codes are, how to create and read them, and gives some examples of them in use in education. There are many QR code generators, some free, some with a cost attached depending on whether you are creating large numbers, or have greater aspirations around functionality. I have just included a couple that seem to provide useful overviews. I've also listed a couple of helpful QR code Q&A sites. A list of QR code generators - many of which have been reviewed, and have a list of features. Top 10 free online code generators - includes brief reviews, a list of features, and screen shots of the interface. Wow - I've just had a quick look at the site, Peter, and was blown away. I did a dip in test, and found the site really well set out. It's easy to find things (several pathways depending on whether you are working by curriculum (UK), topic, or skills sets / learning outcomes). in the format you want them. I've been using the site www.Teach-ict.com for a couple of years now. A fairly new item is a series of 5 lesson plans for use with KS3 (UK years 7-9) on QR Codes. Its a subscription part of the site, but some might be interested in evaluating the site as a whole and possibly signing up as a school. (gives access to editable versions of pdfs and some closed parts of the site). For ICT its a good resource as a lot of short video tutorials are available to demonstrate a whole range of topics.